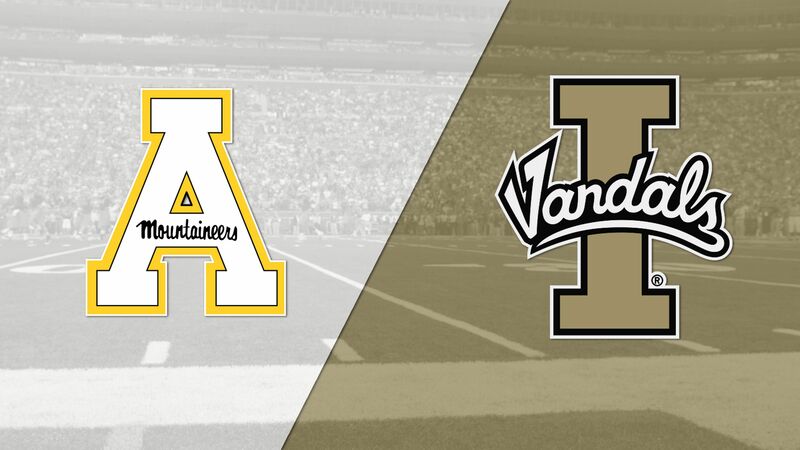 Lamb leads 23-point rally, Appalachian St. tops Idaho 24-20 - College Football - Are You Watching This?! 41-M.Rubino 31 yards Field Goal is Good. 41-M.Rubino extra point is good. 11-T.Lamb complete to 2-I.Lewis. 2-I.Lewis runs 45 yards for a touchdown. 11-T.Lamb complete to 87-C.Reed. 87-C.Reed runs 6 yards for a touchdown. 41-M.Rubino extra point is good. Team penalty on IDA, Offside, declined. 11-T.Lamb complete to 2-I.Lewis. 2-I.Lewis runs 38 yards for a touchdown. 15-C.Coffey 23 yards Field Goal is Good. 15-C.Coffey extra point is good. 10-M.Linehan complete to 85-J.Wysocki. 85-J.Wysocki runs 5 yards for a touchdown. 10-M.Linehan complete to 1-A.Onunwor. 1-A.Onunwor runs 20 yards for a touchdown. 15-C.Coffey 28 yards Field Goal is Good. 41-M.Rubino kicks 61 yards from APP 35. 23-A.Duckworth to IDA 19 for 15 yards (82-Z.Letman).